I have a question for you. Can you remember a time when you had that moment where you deeply connected with somebody else? When was the last time you deeply connected with yourself? We have a unique expert who is uniquely qualified to talk about the power of connection, or as Dr. Ned Hallowell call it, Vitamin C, Vitamin Connection. It’s the Connection Effect. His name is Gordie Bufton. He is an award-winning international speaker. He has spoken around the world with corporations, associations, EO or Entrepreneurs’ Organization and YPO or Young Presidents’ Organization. He specializes in helping people connect with what’s most important in their life. There is a difference between important and most important. There’s a difference between a gold coin, a silver coin and a bronze coin. He helps you to truly connect with what’s most important, those gold coins in your life. He’s a bestselling author of two incredible books, one of which we’re going to talk about, The Connection Effect. He’s also the bestselling author of Eluding Reality. He’s been on CBS, NBC, Forbes, and countless others. Welcome to the show, Gordie. How are you? Thank you, Dan. It’s truly an honor to be here. I love the way that you show up in the world. This is where we originally founded the friendship. The way that you show up in the world, you practice what you preach, and in the space that we run in which is the expert space, sometimes people don’t necessarily practice what we preach. It’s been awesome to get to know you and your family better over the last couple of years. Thank you. I do my best. I won’t say I’ve perfected it by any means. It’s the pursuit of mastery, which is a great way to look at or the theme of this show, Growth To Freedom. It’s not a destination, it’s a journey. Once we think we got there, we move the bar or move the scale. Speaking of that, to our audience, I want you to imagine you being in a place where you’re building up your career, you’re building up with what it is, your reputation. All of a sudden, you have a choice. You have a choice to go to jail, you have a choice of dying or you have a choice of sobriety. What would you choose? 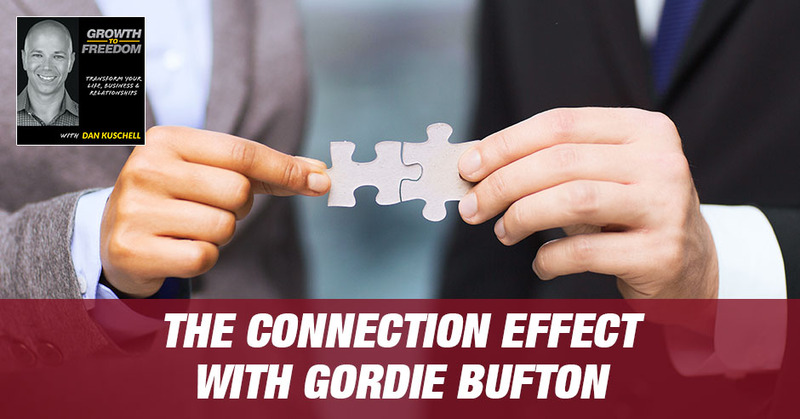 Our guest expert faced that choice head on, which is why he’s so passionate about this particular topic, The Connection Effect. Not only connecting with others but truly, deeply connecting with self. When you do, it will transform all areas of your life, your business, your relationships, that and a whole lot more. Gordie, share with our audience why you’re on this journey that you are. Why The Connection Effect? Why is it important to you? I woke up the morning of my twentieth birthday, looked around the room, all I saw were orange and green jumpsuits. I was in a massive room with 100 bunk beds and had this moment like, “What am I doing with my life?” How did I get to spend my twentieth birthday in jail? My birthday cake was a Butterfinger and a honey bun. Entering my twenties in jail forced me to take a hard look at my life. I was addicted to substances. As I’ve put my life back together and continue to do the Growth to Freedom, I’ve been clean and sober over eight years now of looking back on that experience and what was happening. One of my core beliefs is disconnection is a root of all human suffering. It’s when we’re disconnected to ourselves that it’s easier to go use substance, it’s easier to have an affair or it’s easier to jump on Facebook versus seeing what’s going on in the world. I’ve spent the last almost decade studying connections, studying how to prevent other people from going down that path. It inspires me to jump out of bed every single day knowing that I have the opportunity to allow one person to see something differently than they have and ultimately make a change. You’ve transformed your life. You go around the world sharing your story, sharing your message with groups and organizations. If you’re new and you don’t know EO, they literally have tens of thousands of entrepreneurs all over the world. YPO is a similar organization. You do this with global companies and corporations. They love having you, apart of what you share. It hasn’t always been this way. Maybe this was that moment, that turning point that a lot of us can reflect on. In your business career, can you think of your lowest time or your biggest mistake that you made and what you learned from it that our audience can learn from that too? It happened last August 2017. There was a couple month period where I had gone into business with a partner. We had done some amazing things. We worked together for a couple of years. Our goals were no longer in alignment. The way that we showed up in the world was starting to become drastically different. Every part of me wanted to continue the partnership and the business. We were successful. It was tearing me up inside. I had to ultimately make one of the hardest decisions of my life and that was basically straight up walk away from the business. I signed over most of the business and go start something fresh. I hired some experts. I dug deep, “How do I reinvent myself? How do I create Gordie 2.0 because I’m still young and I know there’s going to be many evolutions over the next couple of years and decades?” This is where I dove into The Connection Effect. Creating this book and seeing what’s allowed me to transform my life and others to transform their lives when they truly connect with themselves and the world around them. Have you been at a place in time where you had that tough choice to make? You knew in your heart that you needed to make the change. You needed to make the shift. You needed to let go of something or somebody that you cared about in a given time. It was hard, it was tough, it was emotional and it was probably stressful and distressful. You’ve been there, haven’t you? I want you to think about what Gordie has shared with you. I’m going to put him on the spot. I’m going to take a shot here, Gordie, with this question. I’ve had to do this and it’s scary. I’ve had to fire clients. I’ve had to remove myself from relationsips that were toxic. On one side of the relationship, whereas the rest of it, the business side of it, was flourishing and all those sorts of things. The personal side was way in and it’s not easy. I imagine your situation wasn’t easy. It was probably at the moment, it was gut-wrenching. I know it has been for me when I’ve gone through something like that. As you fast forward and you’ve essentially removed yourself from it for about a year. If you were to turn to yourself one year ago, what you learned from it and what advice you would give you at that time, now looking back at it over this last year, what would that advice be? I love the quote, “This too shall pass.” At the moment, it seemed the end of the world. Obviously, I’m still alive, I’m still breathing. Such a massive part of my identity had been ripped away. Knowing I’ll be able to rebuild it, that what made me successful before, if I go back to the basics will make me successful again and that this too shall pass. Doing a good job of surrounding myself with positive people that will bring me up, that will allow me to see it at a different light and different perspective. To our audience, I hope you’ll take that advice, either now or when this comes up. You’re going to have to face this, at some point, numerous times in your life. Some people let it crush them, stop them, hold them back, handcuff them, or they break through. One of our good friends, Joe Polish says, “In order to get a breakthrough, you’ve got to be willing to break something.” “Be willing to destroy anything that isn’t excellence,” I believe that’s a Tim Ferriss quote. Before we start talking about some of the transformations and breakthroughs with what happens with The Connection Effect, I’m going to take another chance here. 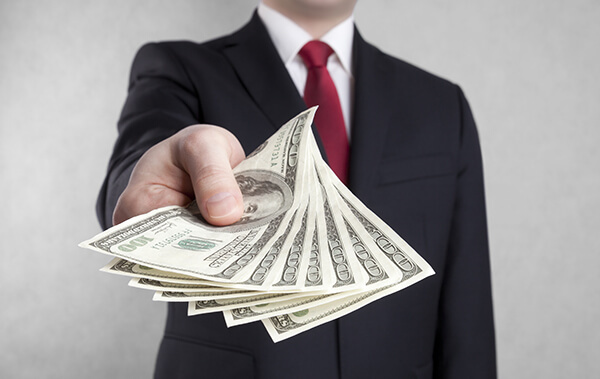 If you were to turn to your business partner right now and thank him for the situation, what would you thank him for? I would thank him for the confidence boost that I got speaking on stages with him. I would thank him for the dedication and hard work that he put in, which ultimately rubbed off in a way that I show up. The reason I asked that is one of the discoveries I’ve had over the years, and I haven’t always perfected this. Your spirit showed up different probably than some of my scenarios, Gordie. You can’t have gratitude and anger at the same time. You can’t have gratitude and fear at the same time. As we build this show with Growth To Freedom, it’s about showing you different, unique ways to think, act, and create the outcomes, the results and the breakthroughs that ultimately will make a huge difference. Speaking of those breakthroughs, you’ve had a lot of them. You’ve interviewed a lot of people that have had breakthroughs. If you paint the people a picture, when they get The Connection Effect right. What is it that starts to transform in their mind’s eye, in their spirit, in their heart and soul that they were missing before that gap? How would you describe it? I would say it allows them to focus on and appreciate those moments. It could be a simple moment of the way that your kid looks at you when you’re at his football game and he’s throwing the game, winning touchdown. You’re fully present with him instead of being on your phone, looking at people in the stands or the bird in the tree. It’s to be there and fully present and to experience that moment. The main thing of The Connection Effect is we’ve become distracted by all this information, which is coming to us. Dan, you’re one of the most prolific marketers on the planet. You know information coming at people better than 99.9% of people on the planet. How do we slow that information down so we can connect with what is truly important? For many of the clients and people I’ve worked with around the world, it’s those few moments with their families. If they have a board meeting with the board of directors, they’ll leave their phone out of the room. If somebody comes in an emergency, their assistant is stopping them. A lot of these people say, “My family is the most important,” but they’re not willing to create that one-hour environment where they don’t have their phone. If an emergency happens, nobody’s getting through to them and they can engage for that hour. Many of the people are like, “My family’s the most important thing.” Yet, they’ll take a business call. They’re with their kid, “I have to take this. It’s an important sales call,” or something like that and to reframe that focus of how do we get fully present at the moment? One of your original quotes is, “Disconnection is the root of all suffering,” on so many different levels. Here’s this great thing. We’ve got technology. We’ve got the ability with the phone and all the stuff, the platforms that are available to us. The more it’s available theoretically, it’s supposed to connect us faster, better, cheaper, and easier. In reality, it’s splitting us apart in our heart, in our mind and in our soul. From your experience and all the interviews you did, you did a lot of research on this, personal experience as well as interviewing some of the top experts out there. If you were to give somebody a playbook or a blueprint of one to three of the simple strategies they could put in place now. Actionable, implementable strategies that would allow them to start making that first shift and experiencing freedom, essentially. It’s freedom from being tied, anchored and handcuffed, basically to these barriers, these boundaries and these anchors. They could all have to do with technology. I’ll try to break them up a little bit. Number one is creating a little bit of space from the cellphone, whether that’s leaving it on do not disturb or having it in another room while you’re doing an hour of work. The average employee gets distracted every eleven minutes and it takes 25 minutes for them to refocus. When you’re trying to do that deep work project and you’re getting notifications, Instagram, Facebook messages, text messages and you’re responding to that, your focus is shot. Separation from the cell phone, creating boundaries where you’re fully present with another human being. That might be five minutes. That might be fifteen minutes. That might be an hour, but to engage and be present, to listen and to speak. Spending time alone, whether that’s in prayer, whether that’s in meditation, whether that’s reading, whether that’s thinking, whether that’s going for a walk, those are three vital aspects. How we’re using our phone, being able to show up fully present with people and then connecting with yourself, whichever way you do that. You’ve got a chance to learn from some of the top experts, your own personal experience. How have you shifted your habits, your rituals, your way of showing up in the world as a result of what you’ve learned and discovered over the last couple of years of doing this research? One of the big things I learned from Cal Newport is the, “Do not disturb,” and I leave my phone on Airplane Mode until about noon every single day. That allows me to wake up and not have the information bombarding me. It allows me to spend two hours doing the personal development in the morning. Usually three hours of deep work or reaching out to people where it’s outgoing instead of coming inbound. It allows me to be proactive versus reactive. I was one of those guys, “I could never go three hours without my phone.” I literally didn’t have my phone on Saturday, Sunday and Monday. I had no technology all weekend. We think in our minds, “We’re important. Many people are going to be like, ‘Gordie must have died or something,’” and I had 23 text messages, three voicemails and 60 emails or something. It wasn’t the end of the world. It wasn’t that big of a deal. Nobody thought I was hurt or in the hospital or X, Y, Z. Part of it is because I’ve conditioned them as well to know that I use technology on my terms, not on their terms. You’ve got a chance, Gordie, to pick the brains of some of the leading experts, Cal Newport, and a lot of others. You started this talk about some of your shifts and how you control technology for you. You set the boundaries, you dictate the terms. What advice would you give to somebody that might be like my personality, to some degree, that suffers from FOMO? You know what that is. You don’t want to miss out on anything. That one social media post from Jesse Itzler is going to change your life, Dan. If you don’t respond in a quick enough fashion to that client and they don’t hire you, what would it be like to work with them? Is it going to be you working for them or them working for you? When my dad was an executive at a big bank, when he left the office at 6:00 in early 2000, he came home. I can tell you in the decade that he was doing it. I never remember a phone call at home of, “Dave, this is the bank. We need you to solve X, Y, Z problem.” This was before cell phones. This didn’t happen. When he got home at 6:00, he was present. I’m sure he thought about work, but he was away from it until he got back in the office at 7AM. Now it’s, “If I miss this email, if I miss this call, if I miss this text,” it’s a different conditioning. It’s a different belief. I believe it’s time that we reexamine this. We’re basically twenty years in, it’s even less since most people have had cell phones, emails, and this technology and being able to be connected all the time. One of my intentions is that you examine your social media, your email, your phone usage and track it. There’s an app that I recently got called Moment, which runs in the background of your phone and it tells you how much you’re using your phone. There’s also in the settings in the iPhone that you can see how much time you spent on each application. I teach around the world on this topic and I did it recently to check. I spend about two hours every day online. That’s a little bit too much. The average person is around four and most entrepreneurs are even more than four hours. How do I minimize and get the most out of that time that I’m using it? Tracking and having awareness is one of the first things. A second piece, which I’ve been doing and it’s been a game changer for me is something I call Silent Sunday. A lot of the experts in the technology space go, “You just have to go cold turkey off social media. No social media,” and it’s either all in or nothing. For me, that doesn’t work because I have a similar personality to you, Dan. It’s all or nothing. How do I create a little bit of a buffer? That’s one day a week I do no technology. It’s on Sunday. I don’t use social media. I don’t use my computer. Occasionally, I will do a focused work project for an hour or two hours, but I won’t check email. I leave my phone on Airplane Mode. It’s the best day of the week. There are issues of I’m meeting a friend, “By the way, I do not have my phone. If we’re meeting at Starbucks at 12:00, I will be there.” We’ve gotten used to changing plans. It slows down time because how often do we grab our phone and we go through the cycle? I know the cycle is, “Let me check my email. Let me go to social media. I don’t want to go to social media. Let me go back and check my email. Let me check Instagram.” I beat myself up for the cycle. I deleted the email off my phone. I deleted social media off my phone, Facebook, Messenger. When I go on my computer, I can be focused for fifteen minutes, five minutes or intentional versus getting caught up in the feed. Speaking of getting caught up in the feed, to our audience, are you caught up in this thing called AI? It’s not the AI you think, by the way. It is the AI that is the outcome of all of this technology and AI, which is called Artificial Intimacy. The reality is you might be suffering from Artificial Intimacy, AI Syndrome, and not even know it. 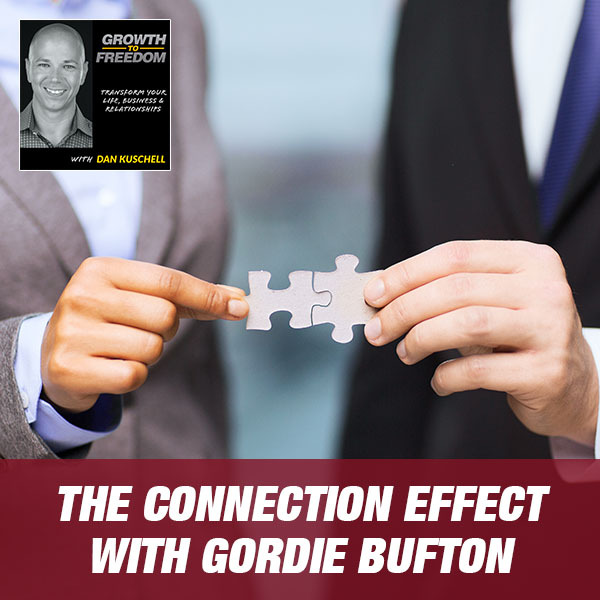 What Gordie is sharing with you are some simple, usable, actionable, implementable strategies that you can put in place to create freedom. What is that freedom worth to you, to not be tied to the chain? What would it be like working with that client who is that ball buster? If you didn’t respond on a weekend or after hours, what would that be like if you truly did work with them? Maybe you missed that particular deal, but is that worth the cost of your freedom? Gordie, I have an interesting question to think about. We’ve all heard this idea that money makes us more of who we are. In some ways, I believe praise makes us more of who we are. I also believe maybe, and I’d love to get your take on this, technology makes people more of who they are. Someone who’s insecure and is buried in social media and technology becomes even more insecure. That’s where they gravitate to this necessity to be plugged in with artificial intimacy or the ability to feel they’re important by constantly being in a chain. Being Connected: Money, praise, and technology make us more of who we are. I see a lot of what we addressed earlier, the type of people who talk one way but walk another way. They don’t necessarily lead by example. They’re expert at being a theorist online. I believe it feeds into this idea that tech makes you more of who you are in many ways. I don’t know that I’ve ever shared that. It’s a belief that I’ve noticed over time. I’d love to get your spin on that since you’ve done a lot of this research. That’s a great way of articulating. I 100% agree with that. A large part of my research has been working with young adults and how they use technology and the kid who takes 100 selfies to post one. One of my favorite concepts, when I talk about social media in this aspect, is front stage versus backstage. It goes back to people practicing what they preach. It’s easy to create this frontstage on social media, that everything is all hunky-dory, “My marriage is amazing, my business is crushing it and X, Y, Z.” Dan, you and I have spent time with these people one-on-one and they’re like, “I’m going to lose everything in the next month if I don’t do something. Can you help me out?” You would look on social media, “You have a million followers. You’re saying these numbers, how your business is doing. How is that even possible?” I wholeheartedly believe it’s that frontstage versus backstage. As time goes on, it seems to be magnifying, compounding, more and more are getting added to theoretically simplify things for us. It seems to complicate it. A lot of it is you’ve got to disconnect to connect. Disconnect from the technology to connect with yourself and other people. Gordie, you’ve shared some amazing tips and strategies, some useful, implementable, actionable items already. What’s amazing is there’s a simplicity here, but where there’s simplicity there’s a lot of complexity. It’s not easy to let go. In fact, for every entrepreneur I’ve ever met, letting go is the hardest thing for an entrepreneur to do, a business owner. We see these at all levels of life. What are a couple of action steps that you would hope that our audience would take from our time together? I would say the main thing is your relationship with your cell phone and your smartphone in your pocket. I believe everybody with a cell phone is addicted to it. How do you create a little bit of separation from them? Whether it’s an hour, whether it’s fifteen minutes, whether it’s sleeping with it in another room, there’s so much information out there of how to do it, whether it’s turning it to grayscale. This is something in Tim Ferriss’ 5-Bullet Friday where he gave the tip of how to quickly turn it to grayscale, which on the iPhone is hitting the home screen three times. I did this. I’ve done it a couple months ago, and then sometimes I slip back into the color. I’m not perfect at this by any means, but how do you create a little bit of separation from technology? To our audience, think of it this way. What if you treated your partner or your spouse like you treat your cell phone? Your partner or spouse would probably think you were nuts. You were overly needy. You were overly obsessive. You’d probably push them out the door. The same thing is holding true if you’re focused on your phone and technology more than you are connecting with your partner or spouse. Keep that in mind. I don’t mean to be crass about it, but it is the truth. You’ve shared a lot of amazing and there’s certainly a lot more. Where can people go to learn more about what you’re up to, the projects or your work? You’ve got a renaissance guy life. Where can people go to learn more about you and connect with you? Of course, on social media that’s the best. My website is GordieBufton.com. 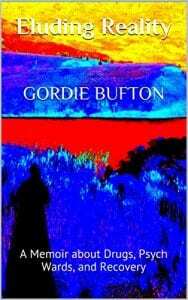 If you want to send me a personal email, it’s GB@GordieBufton.com. I’m fairly easily accessible, but I will sometimes be slow to respond. You have to practice what I preach and that’s a large part of why I wrote this book, The Connection Effect. I want to practice what I preach. I want to make sure relationships are one of the most important things. Being able to turn off that noise and get present with the world as the story that we’re telling ourselves in this narrative that we’re living in is creating our reality. I knew for a long time the story that I was living in was creating a negative reality. When I was able to shift that story, everything around me changed, whether it was leaving that business partner and changing that story. With my girlfriend, I was diving deep into some of my ego patterns with what speaking around the world has done to my ego and diving deep into that, eradicating some of that which is ultimately a story, which is a chapter in the book. There’s always that evolution of growing and evolving. There’s so much information. How do we cipher through it? Take one thing from this podcast. If you take one thing from our conversation and implement it into your life, this half an hour or 45 minutes has been a success. I want to encourage you if you like what Gordie’s been sharing. He’s given you the tip of the iceberg. This has been a glimpse. If you want to go deeper, I encourage you to go check out what he’s up to at his site. Email him for crying out loud. Reach out and connect with him. To our audience, what would it be worth for you to truly have the ability to get present with your family? To get present with your kids in those moments for extended periods of time, for an hour minimum a day. Would it be worth for you to be able to connect not only with others but truly yourself? Have the freedom from technology, that you’ve got healthy boundaries. Being Connected: Practice what you preach. Gordie can show you how to tap into that and how to be able to do those things. Go check out the book. You can get it on Amazon. You can find it on Gordie’s site. There’s certainly plenty of information. It’s an easy read. It’s a fun read. Make sure to check it out as well. Gordie, we like to wrap up this session with some fun, interesting insights that maybe most people didn’t know about our guest or expert. What were you known for in high school? I won the award for most organized. I’ve somewhat lost my ways over the years, but I was also known as being a golfer. I won the State Championship my junior year as a golfer. What do you think you want to be known for when it’s all said and done? Fast forward 50 years from now, 60 years from now, you’ve built a legacy. As of today, what would you want someone to be saying about you? That I was able to deeply, profoundly connect with others in a meaningful and compassionate way. That could be the guy at the grocery store who I asked three questions and have a simple exchange. It’s amazing what a smile, a conversation or a joke from a sincere place with somebody can mean to them. It’s the waiter, the waitress, the staff person behind a desk anywhere. At the car wash, that person that wipes off your car, whatever. It’s amazing how easy it is, not only to make someone’s day but to bring connection, peace and freedom into our life when we make that choice. What is something I should have asked you that I didn’t? Tell me about the introduction of The Connection Effect? 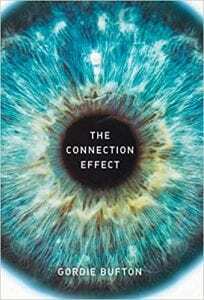 Tell me about the introduction to The Connection Effect. 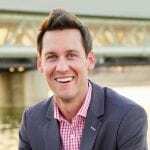 The introduction to The Connection Effect, I had the honor of interviewing one of my favorite entrepreneurs by the name of Dan Kuschell. It explores the most transformational experience of your life and dives into that experience that Dan had and how it had a profound effect on his life and ultimately inspired him to live a drastically different life and connect with things that were drastically different than he was doing. It seems not that long ago that I was busy chasing things on a list. I never enjoyed a lot of moments, memories, or the things that most would look at from the outside in and go, “Those are memorable.” That’s a sad way to live life. What I’m truly grateful, what I love about the work that you’re doing, and it’s a great reminder not only for our audience, is it’s as much of a reminder for me. This is something that I don’t think is easy for us, but I can say that it’s worth it. Gordie has got a gift for you. It’s his work, his life’s work, his life’s journey to show you how to connect it with others and most importantly yourself. I challenge you to think about what is that worth to you? 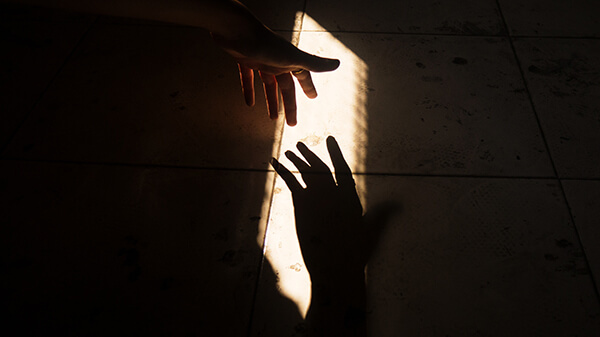 When you lose it, if you’ve ever had the misfortune of losing that true connection and worth to yourself, you know what that’s like. You know what it’s like to be in that down place, that place of doubt, that place of uncertainty. That’s no place to live. Every now and then it can be an okay place to visit for a quick, brief moment for humility, but it’s not a great place to stay. Gordie has got resources, he’s got tools, and he’s got the support system in place to help you bridge the gap. That it is temporary, if not now a new way, a new method to be able to live and permanently connected to yourself and others. I’d say it’s a privilege that we had a chance to talk for that segment of the thing. Your work inspires me to want to be a better me, for myself because that’s where it starts, selfishly, so I can be a better me for my wife, my kids, my family, and my friends and do a better job at that. You’re a great example of that and it’s awesome to have you on the show. I appreciate it. Thank you. I appreciate it, Dan. The feelings are definitely mutual. I look forward to the relationship evolving over the coming decades. I’m happy to support the audience that you’ve created in any way that I can. If you want to take what you’ve been given and take action with it, here’s a really simple action. The way we grow our platform, we grow our reach, we grow our impact. One of those ways is by getting a review. One of the easy ways that you can leave a review if you liked what Gordie had to share. In fact, you probably loved it. If you did, go over to GrowthToFreedom.com/Subscribe, which is the iTunes link. Leave a rating on the show if you liked it and leave us a review. If you leave us a rating and a review and you send a screenshot of it, for the top three people, I’m going to go ahead and buy books from Gordie. I’m going to reward three of you for leaving your rating and review. Send us an email at Info@GrowthToFreedom.com with your review, your rating. We’ll put it in a drawing. The top three people will get that gift of Gordie’s book and some other special resources that we’ll include in that package as well. This won’t be an eBook. We’re going to ship this baby and this puppy to you. It’s our way of growing our impact and also giving a gift to you. Any last words, Gordie, you’d like to share with our guests? Go and create a positive impact in the world. Notice how you’re using your cell phone and how it’s positively or negatively impacting the way that you feel and the way that those around you feel about you. To give you a summary of this episode, we talked about The Connection Effect. We talked about disconnection being the root of all suffering. We talked about that low point, August 2017, and some of the learning lessons that Gordie had from that. We talked about the difference between moments, memories and being memorable. We talked about three strategies to cut out technology or to reduce technology. We talked about how to deal with that mindset of fear of missing out in a healthy, positive way. We talked about false intimacy and a whole lot more. Gordie, it’s been a pleasure to have you here. I appreciate it. Seize the day. Make it a great week. We’ll see you next time on GrowthToFreedom.com. Gordie Bufton is an award-winning international speaker. He has spoken around the world and is in high demand within corporations, associations, YPO (Young Presidents’ Organization), and EO (Entrepreneurs’ Organization). 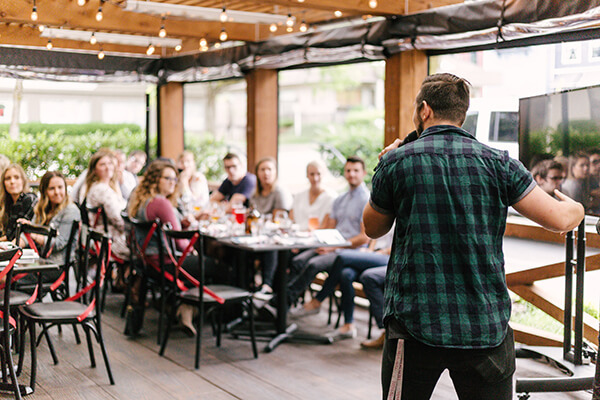 Gordie specializes in helping people connect to what is essential in their lives. He is the author of two books The Connection Effect and Eluding Reality. Gordie has been featured on CBS, NBC, Forbes, and countless more.